In the Heart of the Eternal and Magical City: Campo de' fiori, Piazza Navona, Pantheon on your doorstep. 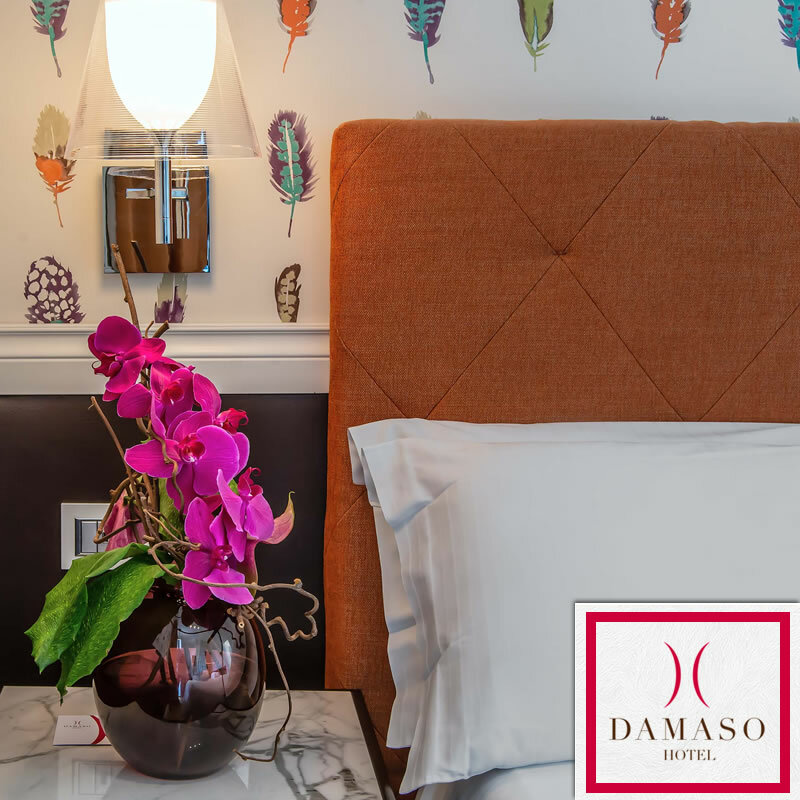 The Damaso Hotel is a great example of how elegant and modern design can enhance the beauty of a historic building. Housed in a completely restored nineteenth century palace, it is a superior 3 star hotel which enjoys an unbeatable city centre location. 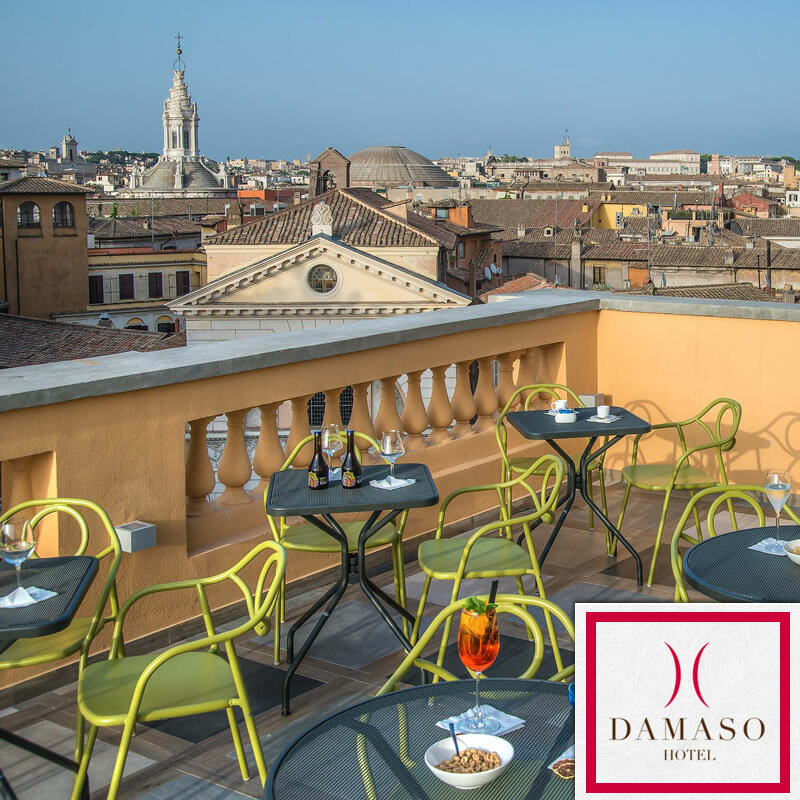 Highlights include the hotel's panoramic rooftop terrace which offers a unique view of downtown Rome. 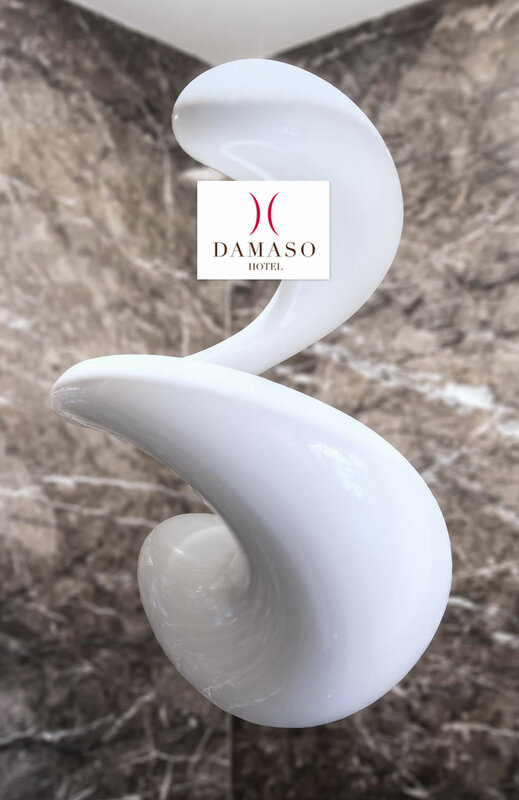 Hospitality, professionalism and know- how are in abundance at the Damaso hotel thanks to the proprietor's 40 years' experience in the Roman hotel industry. This family of Roman hoteliers, who's hotels include the Albergo del Senato, are joined by a team of seasoned professionals to provide impeccable service and quality of accommodation in tasteful and refined environs. 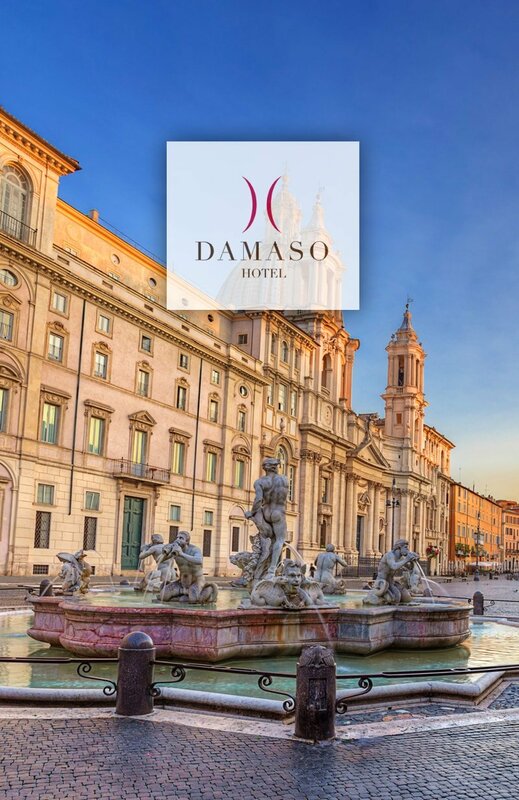 The upscale Damaso Hotel is in the heart of Rome in Piazza della Cancelleria, not far from Piazza Navona, Campo dei Fiori and St. Peter’s Basilica. On foot, you can easily reach all points of interest of the Eternal City: St. Peter's and the Vatican, Piazza Venezia, the Trevi Fountain, the Spanish Steps, the Colosseum and the Roman Forum. 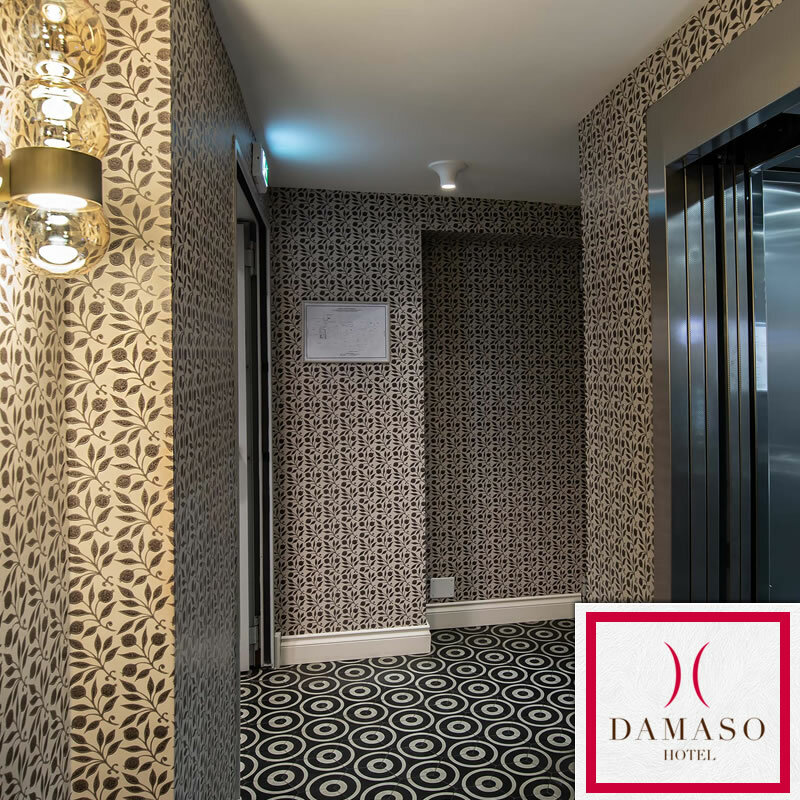 The building which houses the Damaso Hotel reflect the grandeur of Rome's past whilst ensuring guests enjoy all the modern conveniences of a plush, upscale boutique hotel in the city centre of Rome. Free Wi-Fi in all of the hotel's 39 elegant and sophisticated rooms, some with private terrace, will ensure an unforgettable stay in the Eternal City.